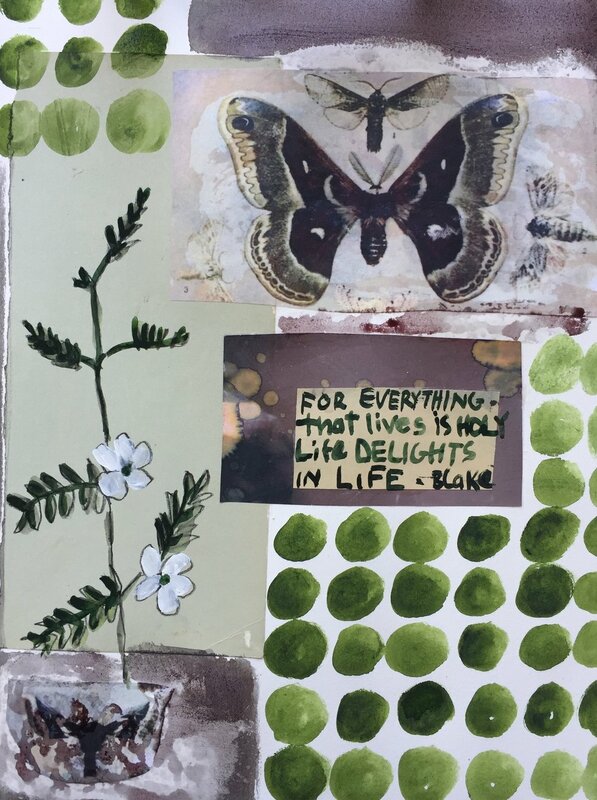 For this Art Journaling exercise I used nature as my inspiration. Using some images I found online and in my collage collection. I kept it pretty simple, not on purpose, but because that's just how art goes sometimes. Sometimes all it takes to fall in love with a piece is putting down a little collage, a quote, and a little paint.